This CD is a tribute to the music Vince grew up with including Native, pop, jazz, and classical. Vince takes you on a spellbinding ride using the Native American flute, Saxophone, and many powerful instruments to capture several moods from Latin to Zuni Sunrise. Only Vince Redhouse could take on a Pat Metheny song and bring it home so powerfully. His mastery of the flute and tenor sax will leave you in awe! We were hooked from the first note and absolutely recommend this CD to anyone who enjoys great music from a master musician. 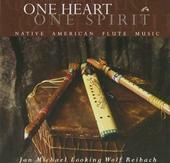 This CD will transcend time and will change how you listen to the Native American flute. Haunting solos on Native American Woodland flutes, Plains flutes, Southwest, Aztec and Mayan clay flutes reverberate with the natural sounds of the canyons. Native vocals, percussion and other indigenous instruments will carry you away through the timeless spiritlands. 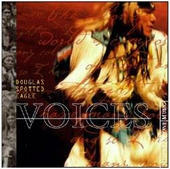 Douglas Spotted Eagle, renowned flutist and composer, creates a powerful and uplifting interweaving of contemporary soundscapes and indigenous Native American culture. "Voices" is a melodic and spiritual celebration of Native America's musical heritage with a world backbeat. "Voices", features Herman Begay and Rob Greyhill has more vocals, more drums, and more flute. This recording is one close to Douglas' heart, as it features the first time ever, Douglas playing on a recording with his son, Josh. This recording spans emotion from the most humble and revealing passages ever played by Douglas, to the most wild and powerful tracks ever! These tracks, like many previous Spotted Eagle records, bring Native American/ influenced music to a new and exciting level. Toubat has been reformatted in a new DVD format and includes new never before scenes of Dr. Richard Payne and a slide show of his famous flute collection. Dr. Richard W. Payne, one of the foremost authorities on the construction and history of the Native American flute, shares his wisdom and experience in this 60-minute video. Dr. Payne is perhaps best known as being the person to give Doc. Tate Nevaquaya his first flute, and worked closely with Doc Tate in exploring the uses of the Native American Plains Flute. He is also an avid collector, historian, and author. Dr. Payne has published many papers and 3 publications on Native American aerophones. Over 600 photographs, hundreds of flutes, and hours of rare film bring the flute to life in a manner never before seen. Jan commissioned Jeff Calavan of the Oregon Flute Store's Custom Flute Shop to craft a unique custom dream flute for him to use on this album. The result was the red tail hawk flute featured on the album cover and played on the song Red Hawk Calling. 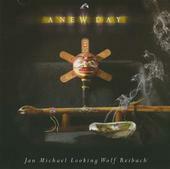 Jan sends the listener on a wonderful journey blending Native American flute with the acoustic guitar, piano and percussion to create a wonderful musical experience for the mind and soul. Fifteen beautiful songs with poetic emotional flute melodies; seven solo tracks and eight with gentle acoustic accompaniment. Some of the songs were recorded live in the mountains near Jan's Grand Ronde reservation, providing a natural fullness to the flute. Award Nominated Flutist, Looking Wolf is a Kalapuya Native American from the Grande Ronde Tribes in NW Oregon. In this recording, he offers a masterful performance of pure solo traditional flute and complex contemporary compilations with native percussion, piano, gentle acoustic guitar, and multiple flutes. 48 minutes. 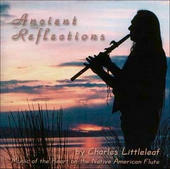 Native American flutist/recording artist, Littleleaf, presents his second solo flute release, titled "Ancient Reflections", offering several new beautiful compositions, including his new flute/drum title song "Ancient Reflections", the enlightening melody of "Happy Valley", and his new melodic and healing reprise titled "Angels of Grace". This new CD also contains Charles's previous rendition of "Trail of Tears", taken from his 1996 release of "Whispers of Earth Medicine", which has been remixed and remastered for a new CD quality sound. With the greatest sensitivity of Douglas Spotted Eagle's engineering behind this record, along with Charles's overwhelming ability to play with such intense spiritual and nature inspired emotion, the production of "Ancient Reflections" is clearly a labor of love that reflects it all. A complete compact disc, with a total of sixteen compositions.